Miranda Rights which is also commonly known as Miranda Rule or Miranda Warning is part of a procedure requiring law enforcement officials to administer to an individual that is in custody and is subjected to questioning. Many individuals falsely believe that if they were not properly informed of their Miranda Rights, they will be able to escape punishment. This is simply not true. What is true is that the prosecuting attorney will not be able to use anything that the suspect said against the suspect in court. However, there are exceptions that may apply in certain situations. Interrogation is considered explicit questioning or behavior that is likely to elicit some sort of incriminating response. Custody is considered a formal arrest that deprives an individual of his or her freedom. The United States Supreme Court did not indicate the exact wording to use; however, they did establish a set of guidelines that must be adhered to. 1) The individual in custody must be informed of his Miranda Rights prior to any type of interrogation. 2) The individual must be informed of his right to remain silent. 3) The individual must be informed that anything said may be used again him in a court of law. 4) The individual must be informed of his right to counsel. 5) The individual must be informed that he can have an attorney present during questioning. 6) The individual must be informed that if he is indigent and unable to acquire an attorney, one will be provided. In Supreme Court Case Berkemer V. McCarty, the courts decided that individuals being subjected to custodial interrogation can benefit from the procedural safeguards of the Miranda Warning, regardless of the severity or nature of the offense for which the individual was arrested for. In Supreme Court Case Berghuis V. Thompkins, the courts ruled that criminal defendants who have been administered their Miranda rights (who have indicated an understanding of those rights and have not chosen to waive those rights), must state before or during the interrogation that they do not wish to speak to the police for fear of self-incrimination. If they choose to speak about the incident to the police prior to invoking their Miranda Rights, any information provided may be used against the defendant in court. The courts later ruled that Miranda Rights must be “meaningful.” This usually requires that the arrestee be asked if he or she understands these rights. Some law enforcement agencies require their law enforcement officers to ask the arrestee if he or she understand the Miranda rights after every sentence. If the suspect chooses not to answer any questions, silence cannot be used as a waiver. Some courts have ruled evidence to be inadmissible when an arrestee’s little knowledge of the English language prohibited the arrestee from fully understanding the Miranda Warnings. The courts felt the arresting officers should have had someone administer Miranda Rights to the arrestee in a language that he/she fully understands. Miranda Warnings are required during a potential interrogation from a law enforcement official that could ultimately lead to criminal punishment. Miranda Warnings can be administered in an alley, jail, beach, home, park, school or police station. Wherever the officer decides to interrogate you, that is where the Miranda Warnings must be administered. If an individual is not in police custody, then no Miranda Warning may be necessary. It is important to note that questions asked prior to an arrest could result in the information being used in a court of law. If an individual has not been arrested, the individual may voluntarily answer questions. If the individual declines to answer any questions, that alone cannot be the basis for an arrest. Answering questions prior to an arrest is a personal choice (that you may want to seek out legal representation for), but there is no law indicating that you must answer questions by law enforcement. A “right to silence” is protected under the Fifth Amendment of the U.S. Constitution. This means that the officer must have probable cause prior to an arrest or reasonable suspicion to stop and frisk. An individual that is stopped by a police officer has the right to refuse any questions. Individuals who are potential suspects may want to politely decline an interview and seek legal representation prior to answering any questions. 1) Loitering – The right to silence may not be acceptable if the officer suspects an individual of loitering. Many states have implemented laws allowing a police officer to question an individual that is loitering. If the individual fails to comply, the individual can be arrested. 2) Traffic Stops – Answers to police questions usually are required from motorists suspected of violating traffic laws. The officer has the right to request identification. If a motorist fails to respond to the officer’s request for identification, the motorists could be arrested. If you are arrested for a crime and brought to the police station for questioning, the almost universal rule is to remain quiet until you speak with your attorney. Suspects often reveal information that is later used against them at trial. Once an individual has invoked his/her Miranda Rights by choosing to remain silent, have an attorney present, or both, police will usually terminate the interrogation process. There are some circumstances where the prosecuting attorney may use statements after Miranda Rights have been invoked. This is what is known as a waiver of Miranda Rights. Most law-enforcement agencies will terminate an interrogation once an arrestee has invoked the Miranda Rights. If an arrestee only invokes the right to remain silent, the law enforcement officer may still try to probe at a later date. If the arrestee invokes the right to counsel, the questions must stop until the arrestee’s attorney is available. Honoring the “right to silence” after invoking Miranda Rights is not always clear. Courts may consider the passing of time and new situations. For example, if an individual has been arrested for a crime and invokes Miranda Rights, police will probably cease questioning. However, a different officer may question the arrestee about an unrelated crime. The arrestee may choose whether or not to invoke Miranda Rights on the unrelated crime. Once an arrestee has invoked Miranda Rights and later decides to initiate a conversation, the conversation may be admissible in court. Police will normally re-advise the arrestee of his/her Miranda Rights prior to re-questioning for any statements to be admissible in court. If an arrestee decides to invoke Miranda Rights for a specified purpose only, the police can continue interrogation around that purpose. For example, an arrestee may want an attorney present for the purpose of only signing a document but not for questioning. Since the inception of the Miranda Rule, several exceptions have emerged. The exceptions offer an assumption that the statement is inadmissible due to possible police misconduct or physical coercion. 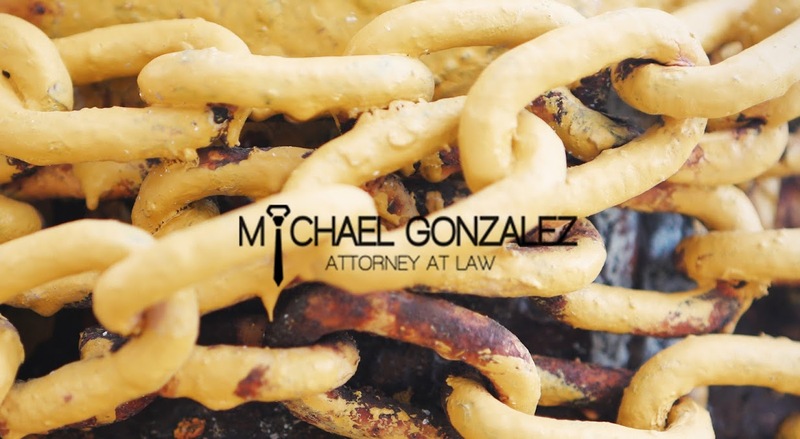 If a defendant gives a statement that contradicts a witness testimony, the prosecutor can use the violation of Miranda as a means of attacking the defendant’s credibility. Some jurisdictions will even allow prosecutors to use statements obtained in violation of Miranda at sentencing hearings. Although the defendants confession is not admissible at trial, the statement can be used at sentencing to seek a harsher sentence for the defendant. Prosecutors will not normally use a violation of Miranda to obtain evidence. However, certain exceptions apply. 1) Public Safety – If a situation is dangerous and jeopardizes the safety of the public, police officers can question suspects without giving a Miranda Warning. 2) Tangible Evidence – Any tangible evidence acquired by the police as a result of a violation of Miranda can usually be used by police and may be admissible at the defendant’s trial. 3) Witness – Any statements received in a violation of Miranda that leads to another witness, the witness can be used against the defendant at trial. 4) Inevitable Discovery – Any evidence that police eventually would have found on their own, can be used at the defendant’s trial. How much time do I have to invoke my Miranda Rights? There is no time limit for invoking Miranda Rights. Once Miranda Warnings have been administered, the arrestee can invoke the Miranda Rights immediately or once a few questions have been answered. Once the Miranda Rights have been invoked, law enforcement is required to stop all questioning. However, any statements made prior to the invoking of the Miranda rights may be used against the arrestee in court. If I am arrested and the officer fails to read me my Miranda Rights, will my charges be dropped? If you are arrested and the police officer fails to inform you of your Miranda Rights, your attorney would most certainly try to use the violation in an attempt to have your charges dismissed. However, if the police officer has acquired an overwhelming amount of evidence against you and the officer does not need to use the information that you provided in court, there is a great possibility that your charges may not be dropped. I was stopped by a police officer and asked all sorts of questions without being read my Miranda Rights. Is this legal? A police officer can stop you at any time and ask you questions. You can decide whether or not you choose to answer those questions. The Fifth Amendment grants you the right not to cooperate. If you are the suspect of a crime, it is highly recommended that you speak with your attorney prior to answering any questions. If a police officer asks to see your driver’s license or insurance, you cannot refuse to provide the officer with those items. An officer will only read you Miranda Warnings if the officer has the intentions on using your answers at trial. Therefore, there may be many instances when an officer may stop you and question you. If you do not wish to answer any questions, you can politely tell the officer that you do not wish to answer any questions at this time. I know that I am entitled to have an attorney before being questioned by a police officer, but I am unable to afford an attorney. What can I do? If you are unable to afford an attorney, the courts will appoint you an attorney, which is usually a public defender. I received a call from a police officer asking me to come in to the police station to answer questions. I don’t want to go. What should I do? If you do not wish to go to the police station and answer questions, you may politely deny the request. However, if you are the suspect of a crime, there is a possibility that the officer will later have probable cause to arrest you or obtain a search warrant if the officer feels you are in possession of valuable evidence that could possibly lead to you being convicted of the crime.